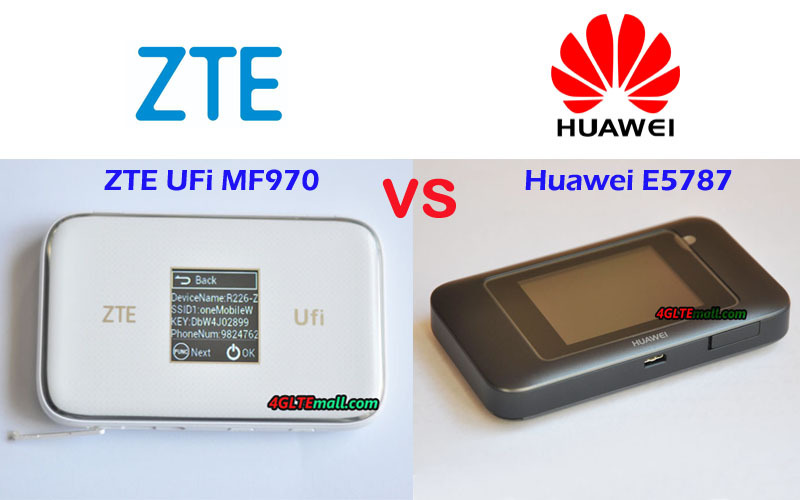 Huawei E5787 VS E5878, Which Huawei Mobile WiFi is Better? 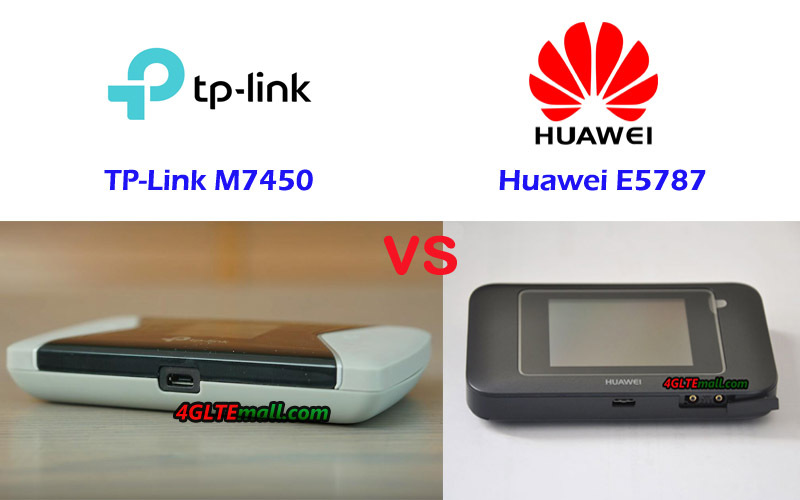 More and more Huawei 4G mobile WiFi routers are available in the market as time goes, they may have the similar names which make them very hard to identify, no mention that what the difference between the 4G LTE WiFi routers. 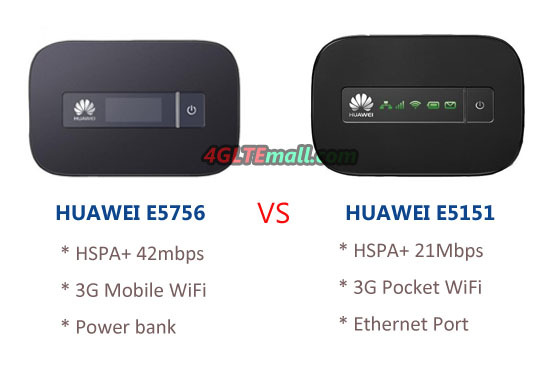 Huawei E5787 and Huawei E5878 are the typical mobile WiFi hotspot router with the similar name. 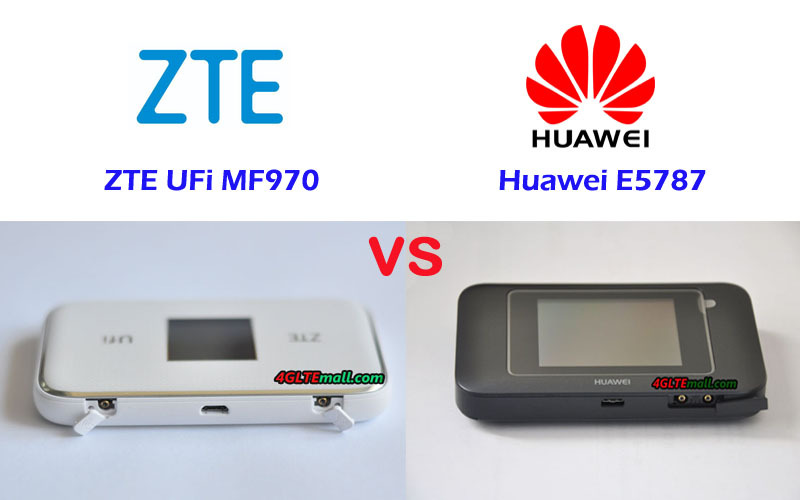 If you are unfamiliar with Huawei wireless router 4G, you may not know what’s the difference between the Huawei E5878 and E5787 and it’s of course very hard to buy one from the two Huawei mobile WiFi. 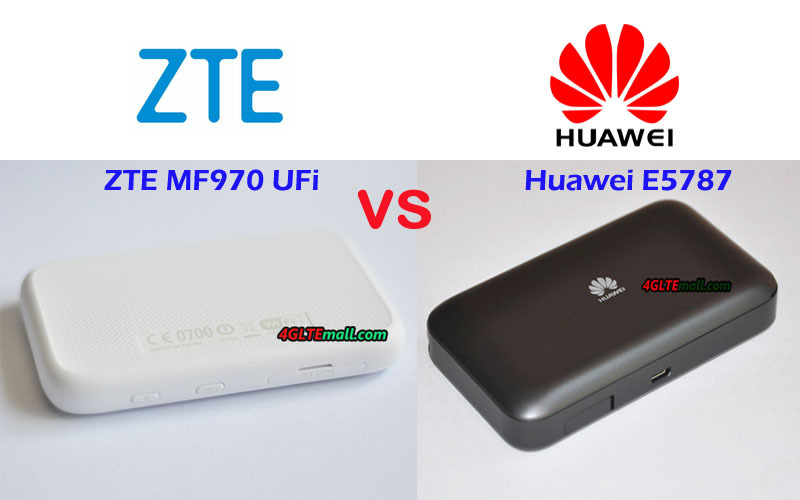 We will compare the appearance, interfaces, specs, and other features to let you know more about the two mobile WiFi. 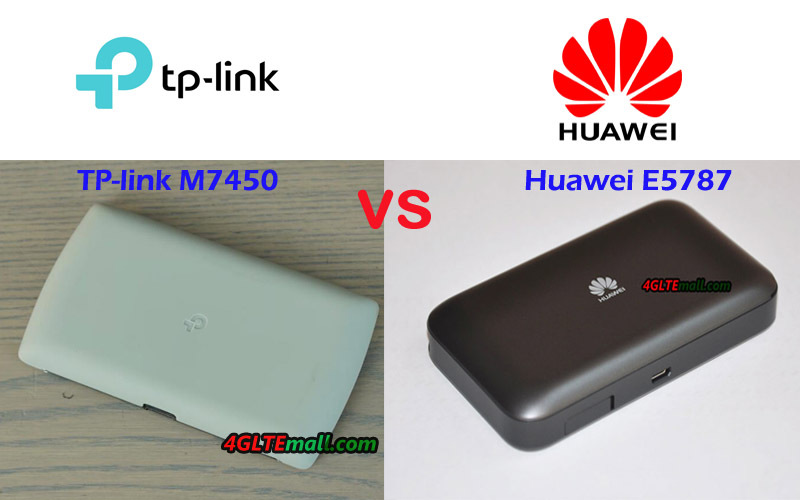 So that when you want to buy a Huawei mobile WiFi 4G, it would be not difficult to make the decision. 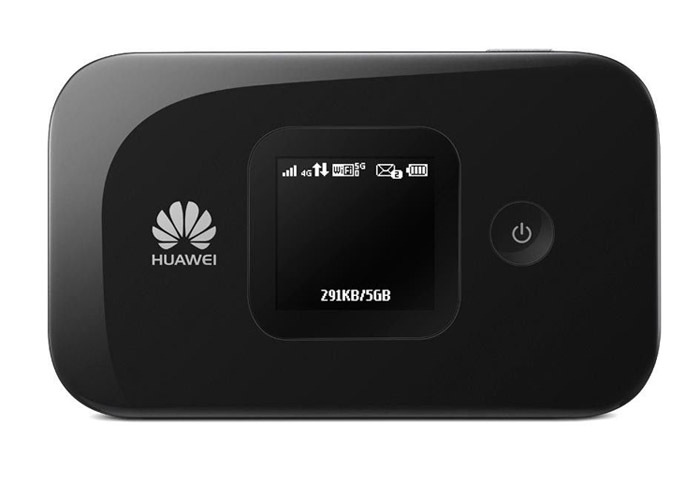 Huawei E5787 4G+ mobile hotspot is a latest released LTE pocket WiFi hotspot, which has a touchscreen on the front where users can read the connection status and do simple setting for internet connection. The power button is on the top edge side while the USB 3.0 port and two antenna connectors are located at the opposite side. The back cover could be removed to exchange the battery or insert the SIM card. It’s a typical Huawei mobile WiFi with a touchscreen and two connectors for external antennas. 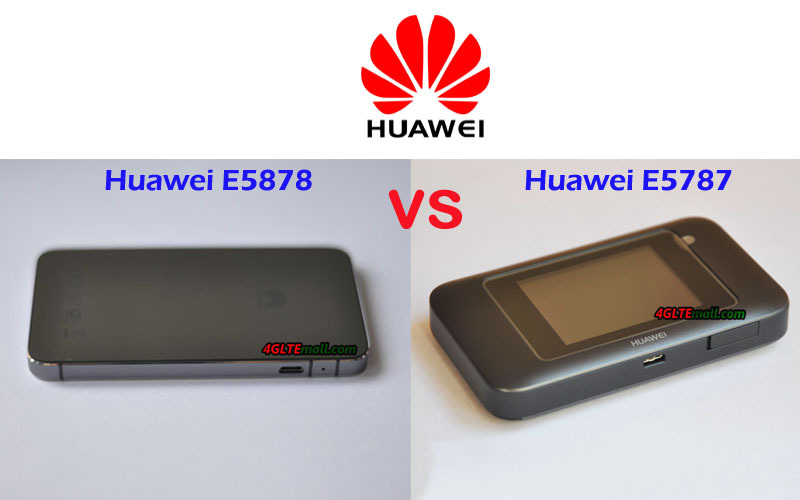 If you have read our blog of Huawei E5878 review, you might be attracted by the appearance of Huawei E5878. It looks very similar to an iPhone with very cool design. 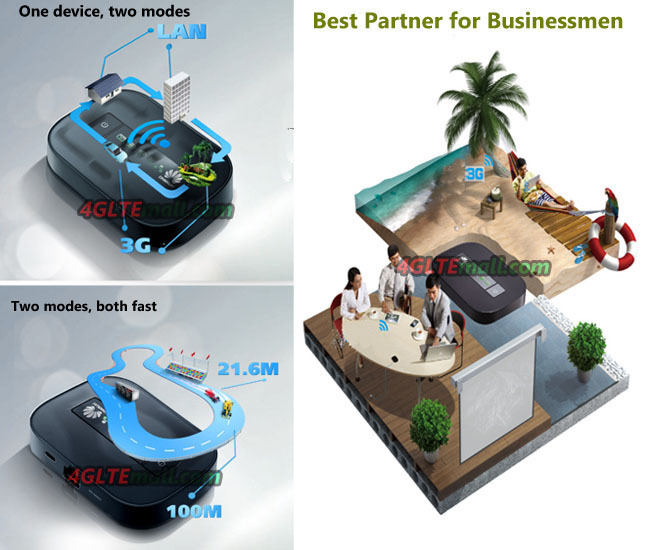 As an LTE pocket WiFi hotspot, it has only a small LED screen, not touchable, to show the internet connection status. The power button is on the right edge side with the sim card slot. The SIM card slot design is like iPhone. You have to press the hole to let the slot pop out and then insert the SIM card the press it into the device. The battery of Huawei E5878 is built-in and non-removable. A Mini USB port is available for charging. Unlike other Huawei mobile WiFi, it has no the connector for external antennas. From the specs table, we can see that Huawei E5787 4G+ mobile WiFi is more advanced supporting LTE Cat.6 which could achieve download speed up to 300Mbps and upload speed to 50Mpbs. The Huawei E5878 could only reach peak download speed to 150mbps on LTE Category 4. 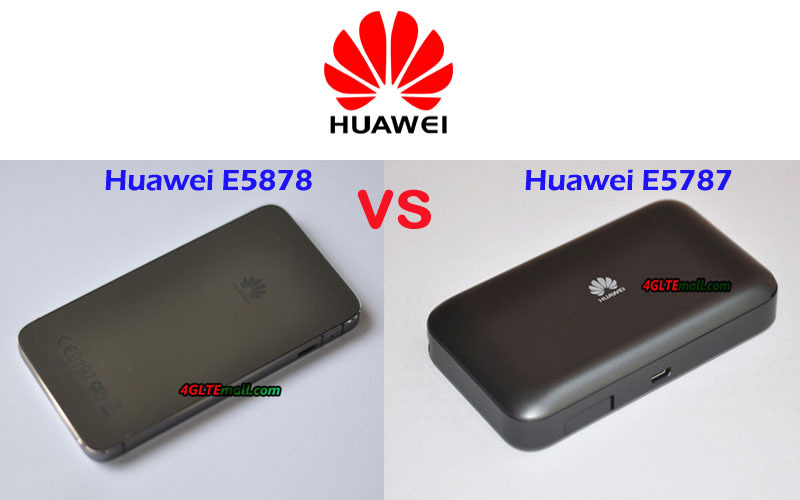 Huawei E5787 has two variant models available now but Huawei E5878 only has one E5878s-32 model. The Huawei E5787 has two connectors for external LTE antennas but E5878s-32 has no antenna connector. And Huawei E5787 has the touchscreen and more advanced WLAN features which should be more user-friendly than E5878. So if you want to buy a good Huawei mobile WiFi with good experience, the Huawei E5787 would be better to consider. However, since the Huawei E5878 is available few year ago, now the Huawei Prime E5878 price is very attractive now. With the cool classical design, it’s still a good one to consider. The download speed of 150Mbps is actually enough for daily use. And Huawei E5787 price is not cheap now because it’s a new model. If you want a budget mobile WiFi, Huawei Prime E5878 is good to buy. 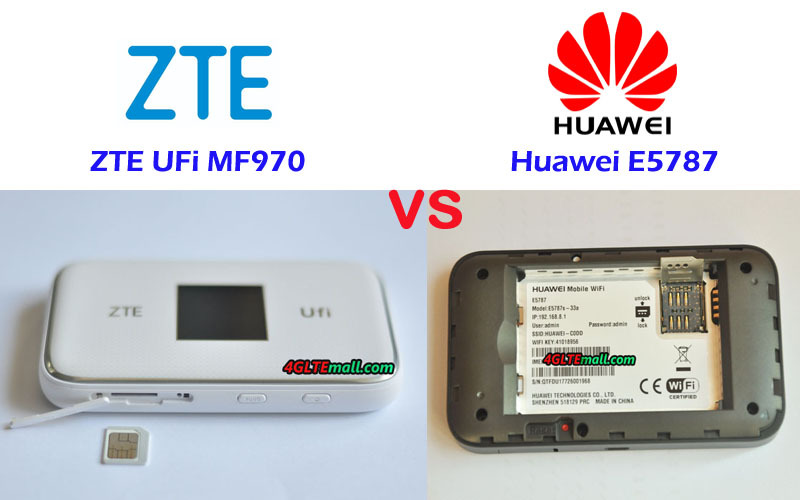 We had the news about Huawei E5577 for a long time, and we are lucky to get one unit to test last week. The model number is Huawei E5577C. 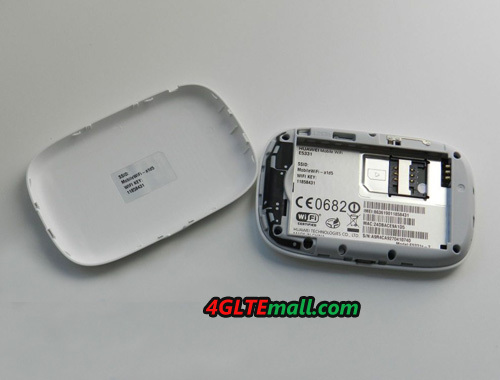 The E5577C is a very small and lightweight LTE MiFi Hotspot, and it looks like the Huawei E5377. 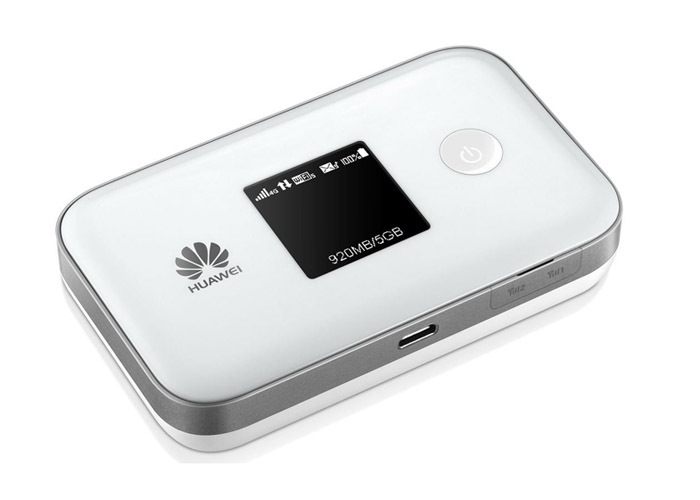 The Huawei E5577C provides speeds of up to 150 Mbit/s in the downlink and 50 Mbit/s in the uplink, and it has a replaceable battery of 1500 mAh and has a display on the front to show connection information. The system can be operated via the browser or via an app on your smartphone or tablet. 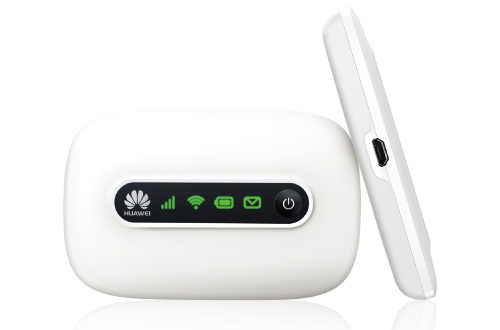 The Huawei E5577C comes in a small white cardboard box and is available in black or white. The battery is not loaded in the device but is separately together with a very short USB charging cable in the package. A power adapter for charging your battery is not supplied, in my opinion, it is also unnecessary because the USB cable can connect to the power adapter for your smartphones or tablets. The Huawei E5577C is with dimensions of 96.8 x 58 x 13.5 millimeters and weighs 85 grams, which is a very compact and lightweight. This makes the device ideal fits naturally into your pocket, purse or backpack. All parts packed are good and the battery cover can be easily removed for inserting the battery, SIM card, and memory card. The configuration of the Huawei E5577C is very simple. Normally, everything is already done with the first launch and the router E5577C configures itself depending on the inserted SIM card. The wireless connection is encrypted from the factory, the password can be found in the battery bay or on the display. Unfortunately, it cannot hide from the display. Some functions, such as the choice of the wireless frequency band can be set directly on the E5577C using the menu button, the power button and the display. For other settings, you need to use the HiLink app for Android or iOS operating systems, or access to the web interface. To do this, you need just simply calls the browser’s address 192.168.8.1. In the web interface, there are detailed statistics on the internet, you can send and receive SMS and you can share files and folders on the network when inserted MicroSD memory card. There is also a menu item to update the firmware. 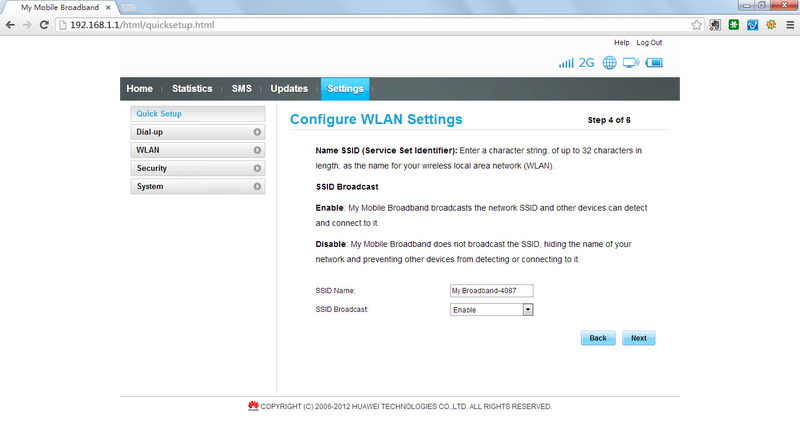 In the settings menu, there are several configuration options available for WLAN and network. Overall, the web interface of the E5577C is quite extensive and easy to operate! Huawei E5577C supports LTE by category 4 with up to 150 MBit/s in the downlink and 50 Mbit/s in the uplink. Actually, LTE Cat4 is not the latest new technology. 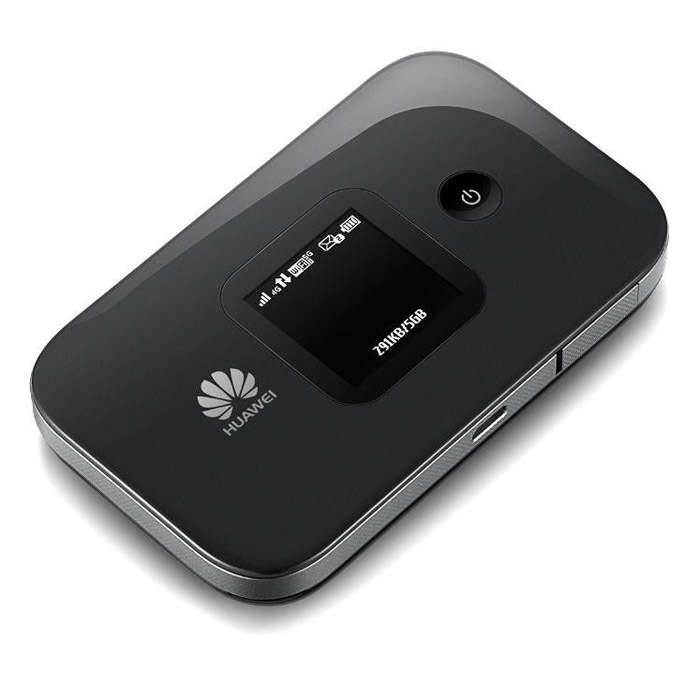 Here now there is LTE Category 6 mobile hotspot Huawei E5786 available. But new technology means user need pay more money to enjoy it. For most users, the LTE Cat4 modem in E5577C will provide sufficient speeds and in testing, it can achieve top speeds of up to 140 Mbit/s. In the UMTS network the data accelerator DC-HSPA+ is of course supported, so here theoretically up to 42.2 Mbit/s can be achieved in the downlink. In practice, you should reach the speed of no more than 32 Mbit/s. Unfortunately, there is no way for the Huawei E5577C set to a specific network technology. The only option is the use of LTE-on and to turn off. Compared to several other mobile hotspots, this is a big disadvantage. The Huawei E5577 supplies up to 10 devices simultaneously via WLAN with an Internet connection. Extra one unit can also be connected via USB, so the router can also be used on computers without a WLAN. The E5577C will support both 2.4 GHz wireless and the area around 5 GHz. 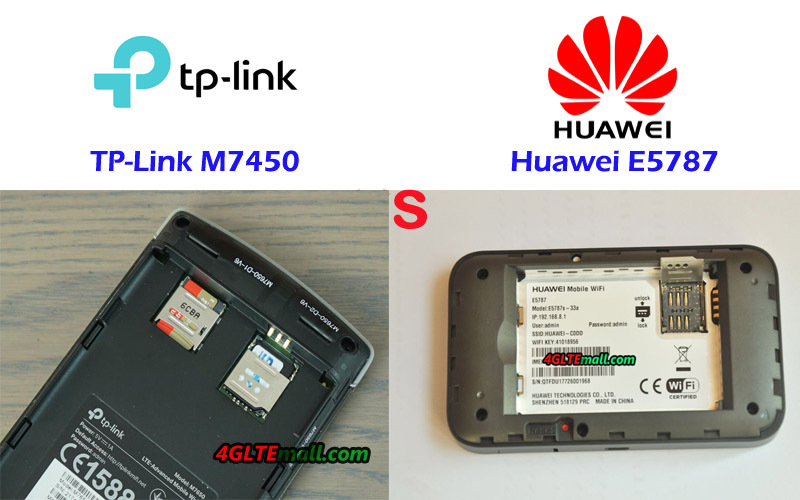 However, the latest wireless standard AC is not integrated with Huawei E5577C. 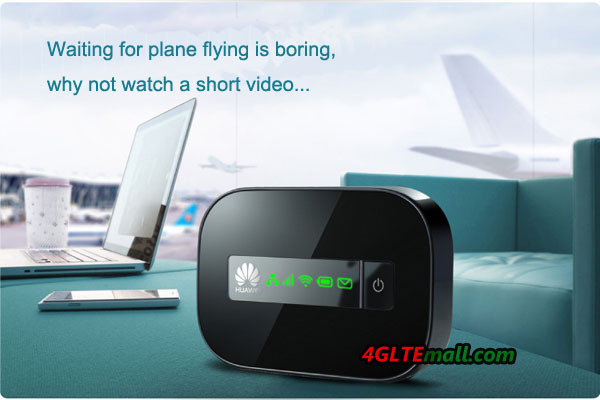 An interesting feature is a wireless repeater, referred to as Huawei WiFi Extender or WiFi Offload. Thus, the E5577C use an existing Internet connection via WLAN as access. The battery can provide up to 6 hours operating time per the manufacturer instructions. If necessary, the battery can always be replaced, a great advantage to other mobile hotspots with a fixed battery. 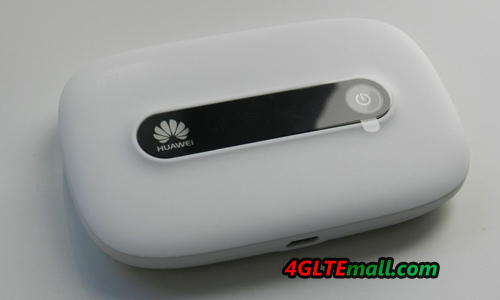 Overall, Huawei E5577C is a good mobile LTE hotspot. The equipment is light and the dimensions are pockets compatible. 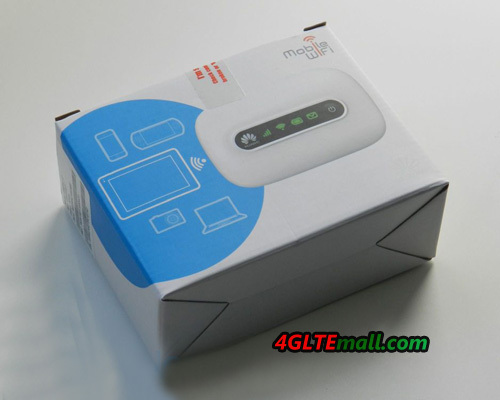 However, as a new 4g mobile hotspot, the price may be a little high as expected. If you want better power support, you can get a spare battery backup. Here now, there are Huawei E5377, E5377T, E5878 available from the same manufacturer. How to Setup HUAWEI E5332/E5332s-2 3G Mobile WiFi? 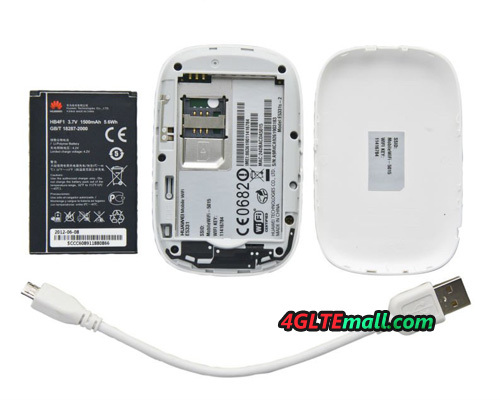 Usually, the HUAWEI E5332 Mobile WiFi, also named HUAWEI E5332s-2, don’t need any setup and it would automatically connect to the network, the devices connected to this mobile WiFi and then surf freely. 11. The next to configuration Summary, confirm and click “Finish”. 12. After few seconds, HUAWEI E5332 could get connected with the network. And terminal could surf under this support. This is the easy setup and configuration of HUAWEI E5332 Mobile WiFi. Hope this will help most of the users who are in trouble. But before this setup, user must confirm that the SIM card operator could provide the 3G UMTS bands at 900/2100 MHz, which means if there SIM card is running on the band 850/1900 MHz, it’s incompatible with the device. Or it can only work on 2G network. 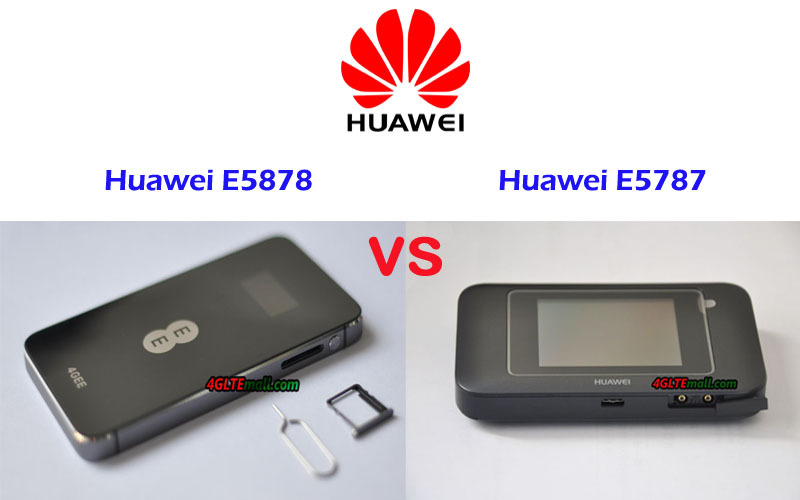 What’s the difference between HUAWEI E5331 and HUAWEI E5220? At the beginning of 2013, we found Huawei released a new pocket WiFi on CES 2013. At the first sit when we see it, we thought it was Huawei E5331 3G 21Mbps Mobile WiFi, because from the outside appearance, it’s completely the same as Huawei E5331. However, after we read the specifications on the stick, we got to know we are wrong. 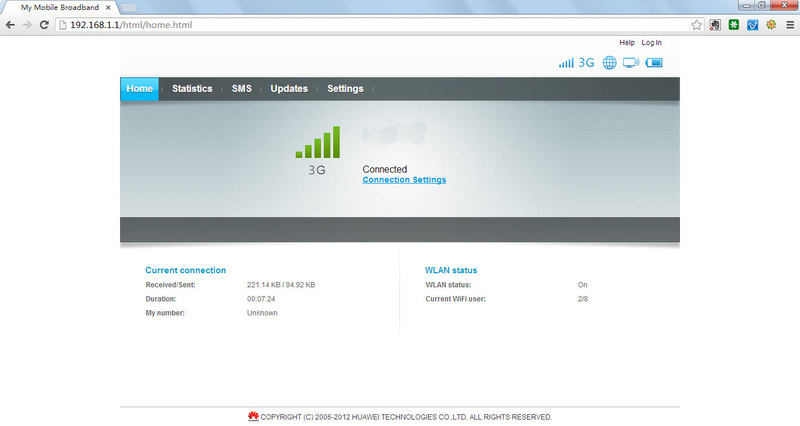 It’s the new mobile WiFi hotspot Huawei E5220. Then here comes a question: why did Huawei release a same model with different name? On the stick beside the demo of Huawei E5220, we read that Huawei E5220 supports single, dual or triple UMTS bands by its variant model. This feature is also specified on Huawei E5331. Huawei E5220 supports maximum download speed up to 21.6mbps, and upload speed to 5.76Mbps. It’s also the same as E5331. The key feature of Huawei E5220 should be the link time. It says Huawei E5220 could network in 5 seconds with HiLink technology. HiLink is a new user-friendly system that users don’t need install any software or setup any parameters, once the device with HiLink technology connects the supported gadgets, the gadgets can then start surfing freely. It’s obvious that this system brings much convenience for customers and save much time. 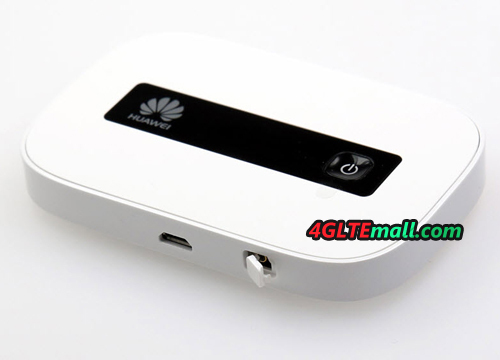 Take a example, in the past, if you use Huawei E372 and plug it to PC, it would take around 1 or 2 minutes to install the driver in the modem; after driver installed to PC, you need to setup the parameters, such as Profile, APN, dial number etc… and if there is something wrong in the settings, you may can’t get connected to Internet. With HiLink technology, it would completely change this situation, once you plug the Huawei E3251 HiLink USB stick to PC, the PC then get connected in 5 seconds, no driver installation, no setup. 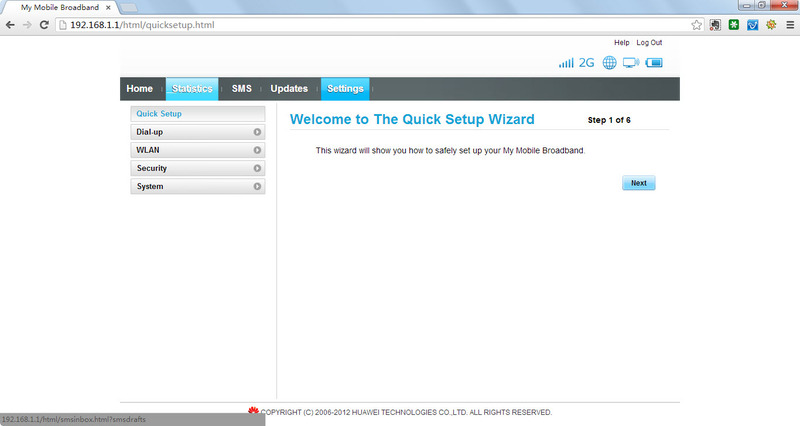 And you can manage the modem through Web UI. Huawei E5220 also follows this rule. After the WiFi enabled devices get connected to E5220, they can surf in 5 seconds, or slower in 10 seconds. No setup and driver are needed. In our opinion, this should be the revolution for this new pocket WiFi. What’s more, Huawei E5220 supports maximum 10 users to share the network while Huawei E5331 supports 8 users. From the above two upgraded features, we can see Huawei E5220 has different system from E5331 and it also improve the user experience and functions. 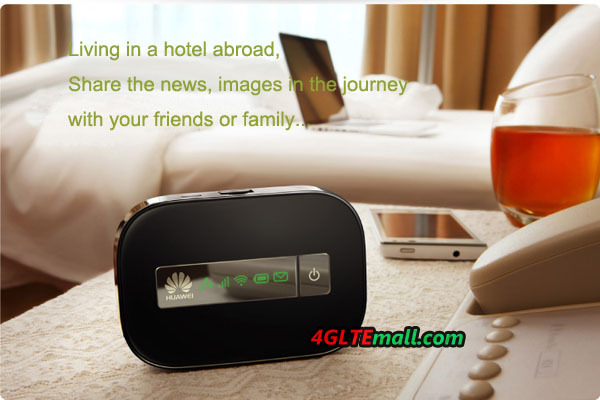 Mobile hotspots are now very popular and we have a favorable time and new model for a test: the Huawei E5331 Mobile WiFi. 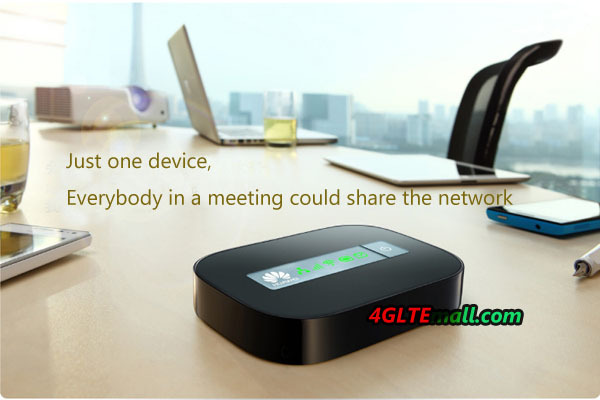 The small wireless router comes in a compact package, in addition to the device itself, there is only the powerful 1500mAh battery and a small USB cable included for charging. An AC adapter for charging directly at the outlet does not packed in the box. After unpacking, if you have only the SIM card (Normal standard size) and insert the battery, then you can turn on the Huawei E5331. The HUAWEI E5331 has a LED display screen, after a few seconds to light up a few status LEDs on the front, HUAWEI E5331 will start working. At far left is a reception display, next to the light for the wireless network and an indication of the battery charge. On the far right there is a message icon that indicates new SMS. After the first start you have to connect via Wi-Fi with the Huawei E5331, by the way, more than 8 devices can be connected via Wi-Fi. The password for the wireless network is located under the battery in the device, you should write down the code before E5331 begins operation. After a short search network, the modem automatically selects in the mobile network – certain settings such as the APN to be incurred only in exceptional cases, in most cases, no configuration is required by the user. The reception in the UMTS and GSM operation is pretty good, and definitely better than many cell phones. In the UMTS network, HSPA + data rates of up to 21.6 Mbit/s are possible, and I was able to reach a maximum of 17 MBit/s downstream and 4 Mbit/s upload in the telecom network, so what are already quite good values! Upon request, the Huawei E5331 menu also allows to “3G only” switch, so that even if the signal is weak is always the UMTS network is selected and not a throwback to the slow EDGE / GPRS.